Vintage Norton Motorcycles: Willing William it ain't! 'tis George! Willing William it ain't! 'tis George! -SG- Back in May 2015 we posted a photo of what I misguidedly thought was Arthur Bourne's bike, referred to by him as 'Willing William.' 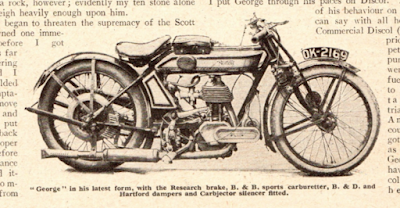 Roger has uncovered the fact that, while Bourne certainly had a later 16H with this nick-name, the bike we showed (now above) was another sporting 16H belonging to yet another of the journalists writing for 'The Motorcycle' in the twenties, who used the pen-name Neon. 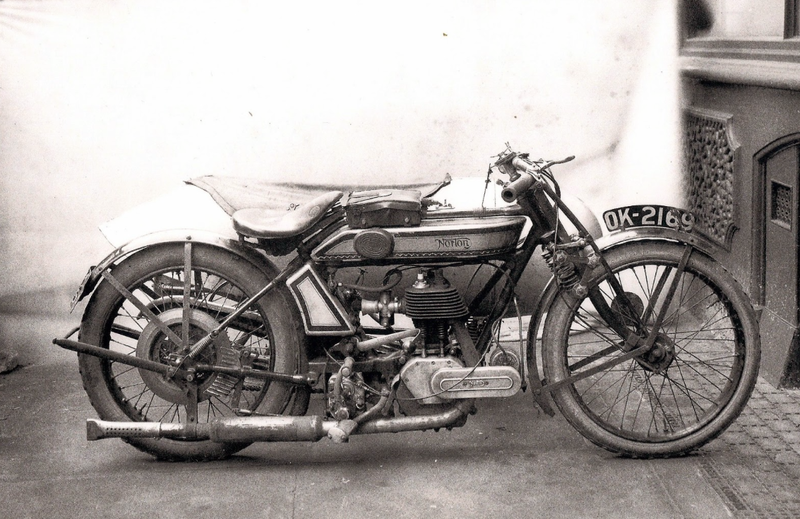 Neon's bike - just to confuse matters - was christened 'George' and started life as a 1922 TT spec. 16H. Read all about it and the numerous mods. fitted to it, in the February 1925 edition, scans available via this link.